Explore campus with your peers as part of a school group tour. We offer group tours for students in Grades 10 through 12, or students in a post-secondary transfer program who are considering UBC for their future studies. Visits to UBC will involve a 90-minute walking tour of campus led by one of our friendly and knowledgeable Student Ambassadors, who will be happy to answer your questions and share their UBC experiences with you. Submit your tour request at least four weeks in advance of the desired visit date. We are not able to accept requests submitted more than three months in advance. Provide one adult supervisor (teacher, parent, counsellor) for approximately every 15 students. State a preferred date for your tour. Group tours can be scheduled at 10:30 am Tuesdays, Wednesdays, and Thursdays only. Due to high demand, we cannot guarantee that we will be able to accommodate all group tour requests. In order to benefit from the tour, tour participants should have at least a moderate level of English comprehension, as all tours are conducted in English. We can accommodate a maximum of 50 students at a time. 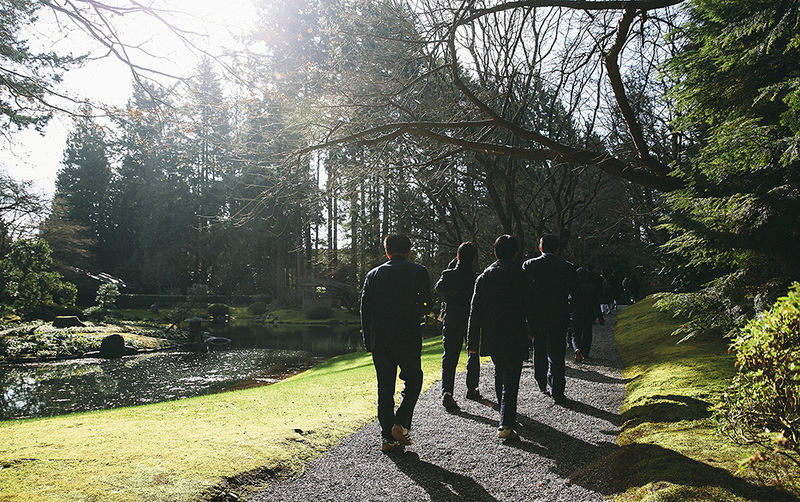 To submit your group tour request, please email ubc.tours@ubc.ca. Your journey to UBC begins with your online application: read up on key information, deadlines, and tips to help you put your best foot forward. Get a full picture of what your first year of university will cost, including tuition, books, meals, living costs, and more.